Welcome to Adams McGillan & Co Residential & Commercial. We are one of a limited number of Northern Ireland Estate Agents who have vast experience in both the Residential & Commercial Market. Adams McGillan & Co offer a fresh and dynamic approach to Residential and Commercial property sales, lettings and management as well as specialism in block and development management. A dynamic and young team with a combined experience of over 20 years local and national property experience we are well placed to look after all of your property needs. 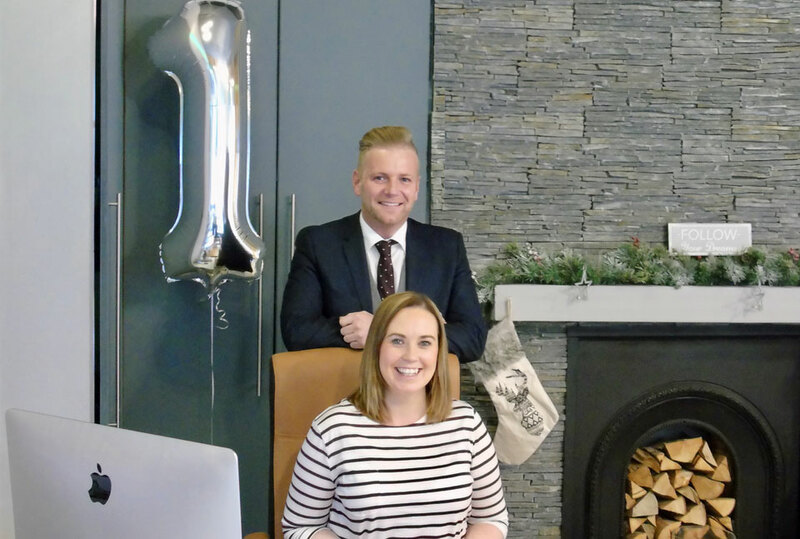 Local business partners and best friends of over ten years Ross Adams and Joanne McGillan need no introduction to the local market having both met and worked together when Joanne was Sales and Lettings Consultant in Coleraine, Portrush and Portstewart for the then largest independent estate agency chain in the North West. Joanne offers a wealth of experience in resale, new build and residential lettings. Ross in the same company held the post of Branch Manager of the Antrim office and also developed the commercial arm of the business in his position of Commercial Manager covering all of Northern Ireland throughout a network of seven offices. Ross has been involved in the letting to Starbucks in Coleraine, The Wesley Owen Group, The Sale of Castlerock Police Station on behalf of the PSNI, The former Castlerock Library on behalf of the NEELB and countless sales and lettings of commercial, residential, new build, land and sites throughout Northern Ireland before moving on to become Group Property Manager responsible for residential, commercial and hotel developments in Northern Ireland, England, Scotland and The Isle of Man. We offer an unmatched service in the local market!